Have you ever thought about being an Earth scientist? Have you ever thought about how the world works? Year 3 recently had the opportunity to explore how earthquakes and volcanoes work. We tested out the different cause and effects of earthquakes and volcanoes. The Mantle, which is the middle layer about 1,800 miles thick. The Core (outer and inner) which is the layer made up of iron and nickel. Did you know that there are around 1,510 active volcanoes in the world? We know that 80 of them are under the oceans, but there is plenty of area down there for there to be still more! The Earth’s crust is made up of big slabs, called plates, which fit together like a jigsaw puzzle. They can sometimes move which can cause friction and shaking, which is what we feel in an earthquake. Between the Earth’s crust and the mantle is a substance called magma, this is made of rocks and gases. When the plates move, one section slides on top of the other and pushes down on the plate below. Magma is then forced up between the two plates, when the volcano erupts the magma inside flows out and becomes lava. Year 3 had the huge responsibility of saving a city from an erupting volcano! They used a seismometer to detect and record seismic waves. Seismic waves vibrate and carry energy from the source of an earthquake outward in all directions. This helped us decide whether the volcano was ready to erupt,meaning that we needed to evacuate the city immediately to save thousands of lives, or if in fact, it was a false alarm which would cost a huge amount of money and waste peoples time. 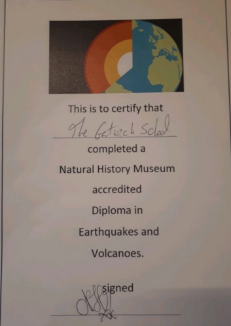 A big well-done to Y3 for their hard work and enthusiasm in achieving their Natural History Museum accredited Diploma in Earthquakes and Volcanoes. 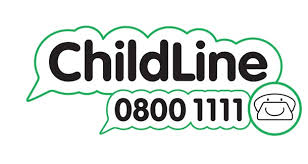 And a huge thanks to all the helpers who made this experience possible.